Close to 9 x faster than the competition. Enjoy a premium infrastructure at the best quality/price ratio and the expertise of a team passionate about their profession. TWS Hosting offers a flexible hosting without commitment on a cutting edge technology, moreover, for any purchase for a period of 12 months or more, you benefit from a transfer of a domain name (gTLD) or registration (gTLDs) free for life as long as your plan is now active! Data backups are our promise as well as 99.9% availability. If the availability of servers for a given month is less than 99.9% next month, it’s totally free! Our robust email solution is compatible with all clients mail, including Outlook and Apple Mail, and works on any iPhone, Blackberry or Android device. 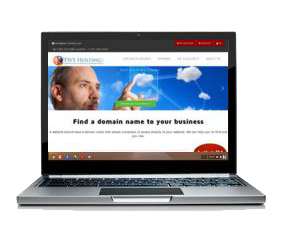 We take in charge the migration of your website, absolutely free. If you have a dealer with several clients account, we will also transfer them!